The popularity of vintage jewelry has been on the rise in recent years. Jewelry enthusiasts all over the world have fallen madly in love with it. But, do you actually know what makes a piece “vintage”? The terminology used in the gold industry might be confusing for some people. Truth be told, that isn’t very surprising. So, let’s make things clear and explain what vintage jewelry really is. Basically, any jewelry piece that is older than 20 or 30 years is considered to be vintage. Also, vintage pieces symbolize major historical periods. For example, some of the most famous pieces are from the Victorian era, Art Nouveau era, and the Art Deco era. What all vintage jewelry has in common is the special appeal from the times gone by. In each piece lies history and a special significance related to that period. Moreover, stunning vintage pieces can transport you to times long gone and make you nostalgic. When one wears a piece from a bygone era, they are honoring the craftsmanship and talent of the past. Interesting and unique designs, phenomenal gemstones, and a touch of history give each vintage piece extreme value. Since it varies in style, vintage jewelry suits everyone. What About Selling Vintage Jewelry? If, for any reason, you wish to say goodbye to a vintage piece you own, make sure to do it the right way. Luckily, it is hard to go wrong with The Gold ATM, the top gold and diamond buyer in Atlanta. With over 250 five-star reviews on Google, The Gold ATM is by far the highest-reviewed buyer in Atlanta. What makes The Gold ATM most noteworthy is the impeccable customer service. 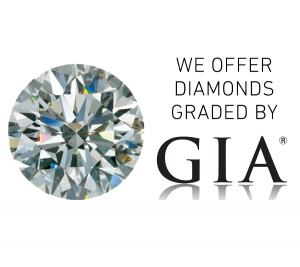 We offer free jewelry consultations and evaluations for all our customers. Bring your pieces to one of our offices, and we will carefully examine your jewelry in front of you, free of charge. Furthermore, we will guide you through the process and give you the best rates in Atlanta, Buckhead, and Roswell. You can rely on our experts to provide a trustworthy evaluation. They are professionals familiar with numerous methods of evaluation. Each and every piece requires a customized approach, and they are fully aware of that. If you have further questions, feel free to contact us any time. We invite you to come experience The Gold ATM for yourself.